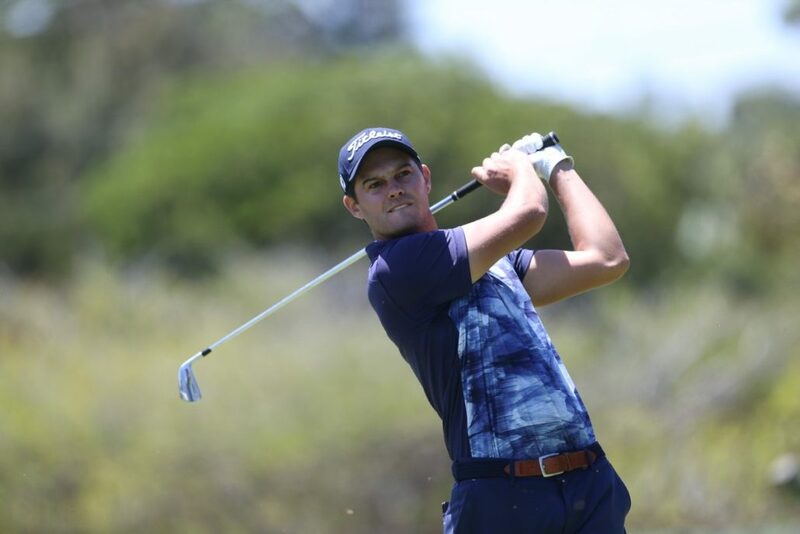 Jean-Paul Strydom returned to the summit of the leaderboard in round three of the RAM Cape Town Open after he signed for a three-under 69 to total 13-under par and take a slender one-stroke lead into the final round at Royal Cape. On a day when the wind picked up quite early on, it was always going to be a laborious effort to shoot a low score on the wind-ravaged Cape Town course. The struggle was obvious from the first, as Strydom’s only birdies of the front nine – on the second and fifth holes – were quickly undone by the same number of bogeys on the third and ninth holes. He seemed to have found something on the homeward stretch as he went birdie-eagle-par from the 10th through to the 12th hole, before picking up another birdie on 13. Back-to-back bogeys, thereafter, threatened to derail his round, but he bounced back solidly, making further gains on the 16th before closing his round with pars on the 17th and the last holes. ‘It wasn’t easy out there,’ Strydom noted. ‘I mean, the wind, we knew it was going to blow today and probably tomorrow as well. But the game plan is to just keep it in play, hit the greens and hopefully make a couple of putts. Zander Lombard lurks dangerously behind him, though, with just a single stroke separating the two players. Lombard also carded a 69, while overnight leader Peter Karmis, Zambia’s Madalitso Muthiya and Thriston Lawrence share the third spot on 10-under par for the tournament. Michael Palmer and Andrew Curlewis occupy the sixth spot on a total of nine-under, with England’s Ross McGowan, 2017 champion Jacques Kruyswijk, Lyle Rowe, Daniel van Tonder, Justin Walters and Richard Bland sharing the eighth spot.